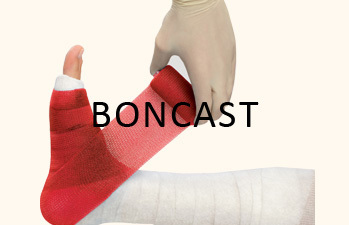 BONCAST® is a synthetic orthopaedic casting tape made of knitted fiberglass or polyester substrate impregnated with water-activating polyurethane resin. The fabric is extensible in all directions, which makes it very comfortable in use. Exposure to any moisture will cause the tape to become rigid. The setting time is approximately 4 minutes and it takes 20 minutes for full weight bearing. High quality knitted substrate and special resin formula T provides smooth surface and strong layer adhesion. It provides No End-edge folding problem, which remains doctors time consuming and in convenienze job of unfolding its end. 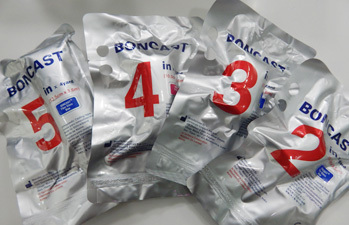 Adhesive polyurethane film Catheter Dressing is PU Transparent film that is specifically designed to meet the requirements of catheter fixation and to keep the catheter site dry. 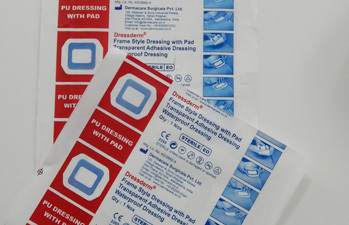 Being transparent, PU Frame Style dressing allows regular visual inspection for signs of infection or phlebitis without the need for dressing removal. Indications :- To dress Post operative wounds, minor cuts, abrasion, lacerations and puncture sites. Reduces risk of infection by preventing moisture accumulation : With a unique molecular structure PU I .V is significantly more permeable to water vapor than ordinary films. These film prevents the accumulation of moisture underneath the dressing that are associated with bacterial growth and hence reduces the risk of catheter-related infection. Greater patient comfort : PU I . V is soft on patient's skin and does not cause irritation on the patient's skin. 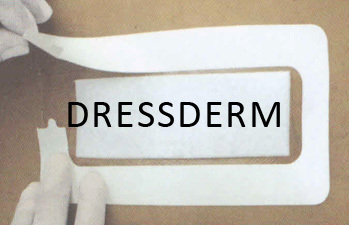 It is low allergy adhesive and is highly permeable preventing prevent skin maceration or irritation and result in improved patient comfort. Excellent catheter stability : PU I .V films are extremely comfortable and allows the patient to move freely. Yet, it will remain firmly adhered around the catheter hub, ensuring excellent fixation.